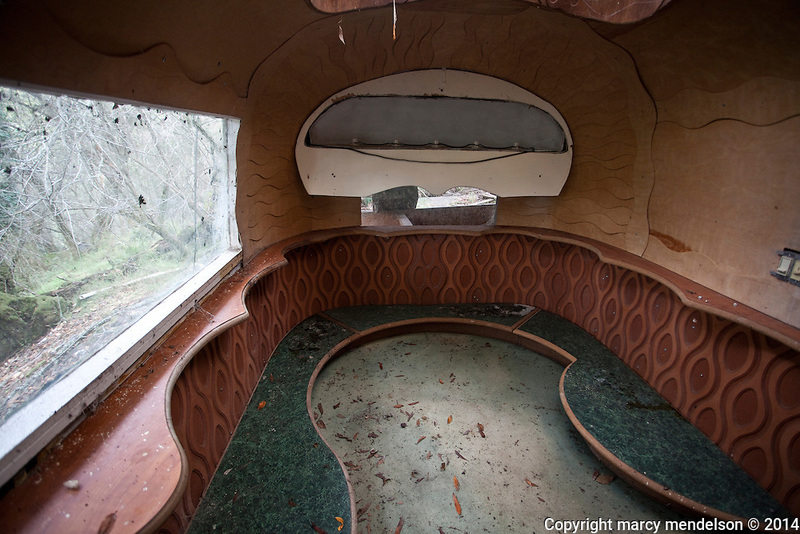 The whimsicle interior of a classic 60s Airstream trailer overlooking an overgrown valley. The dense forest is reclaiming all these buildings. The Califoria parks department will tear down all these structures in the next few decades if no official Historic Status is awarded.